Belize offers a seductive combinmation of glorious Caribbean beaches and intriguing ancient Mayan ruins. It has something to offer for everybody, from archaeological enthusiasts to snorkelling and diving aficionados. After a hard day's sightseeing inland or along the Caribbean coast, everybody meets on one of those atmospheric beaches for rum punch and dancing. Belize is one of the favourite destinations for visitors interested in Mayan ruins. The Xunantunich complex near the Guatemalan border comprises more than 26 temples and palaces and the impressive pyramid known as El Castillo. Taller still is the pyramid at Caracol on the Vaca Plateau, once the site of Belize's largest Mayan city. Diving and snorkelling in Belize attract visitors from all over the world, drawn by the coral and the clear turquoise water. The Great Blue Hole allows inspection of limestone features on the wall of an enormous sinkhole near the Lighthouse Reef. The deeper you can dive, the clearer the water. Placencia, in the south of the country, is the ideal destination for beach-lovers and snorkellers. The peninsula's eastern side features endless stretches of sheltered white sand beach. The western bay offers access to some outsanding offshore corral formations. 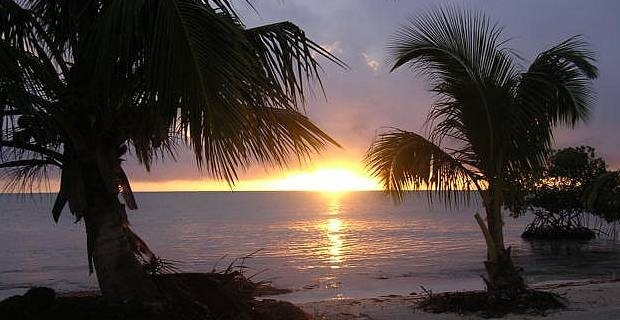 Cheap hotels and self-catering accommodation make it a perfect base in Belize. 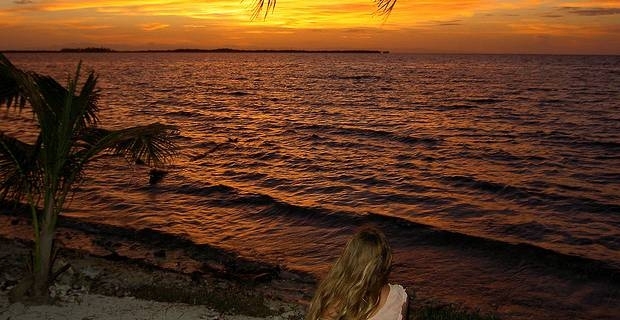 Caye Caulker remains one of the most popular backpacker escapes in Belize. This relaxed coral island can be reached by water-taxi. The island is criss-crossed by walking paths or you can rent a bike to explore. There are plenty of restaurants and bars on the island, mostly reasonably-priced. Flights to Belize from the UK invariably involve a stopover in the USA. Connections are possible via Miami, Dallas, Houston, Atlanta and New York (Newark), with the Miami option offering the shortest journey time. Those with a taste for adventure might like to consider a budget charter flight ticket to Cancun in Mexico and an air-conditioned overnight bus journey to Belize City. Work up a sweat between the sheets on holiday this year.